Oxford is home to a range of B&Bs and hotels, whether it be sleek and contemporary or traditional and homely. 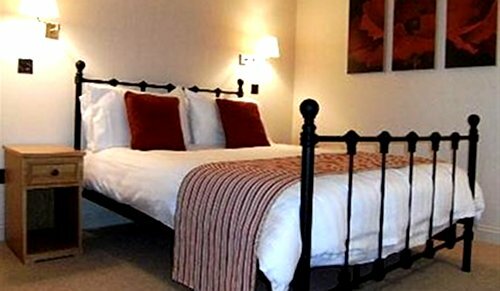 Our Oxford accommodation will provide a cozy bed, a freshly prepared breakfast, and suggestions will be offered on local visitor attractions. This is an affordable alternative to staying in a larger hotel, and will provide you with a distinct taste of Oxford. 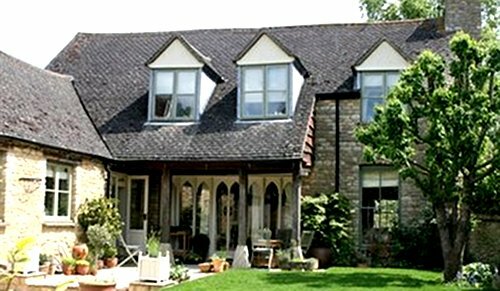 Use the form above to check availability and prices across all our B&Bs in Oxford. 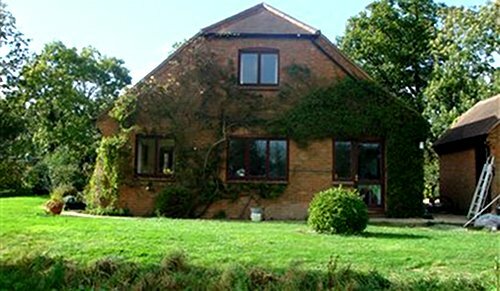 If there are no available rooms at present or if you simply can't find what you are looking for, you could try our sister website, UniversityRooms which has great value B&B accommodation in Oxford colleges. Oxford is a beautiful yet vibrant city on the Thames, the home of one of the most famous universities in the world, Alice in Wonderland and Hogwarts Hall. It is not exaggeration to call Oxford a "wonderland" with a magical atmosphere of its own. 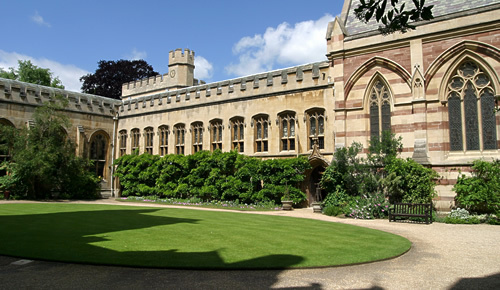 Oxford is one of England's jewels which every visitor to the UK should visit, and ideally stay a night or more. Its university has given the city much of its exceptional architecture and its rich cultural heritage: over 900 buildings are listed as having historic or architectural merit, all located within a square mile. A view along the High Street has been described as one of the most celebrated views in Europe. 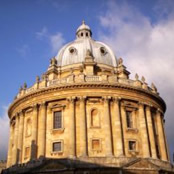 Oxford has had a role in educating four British, and at least eight foreign kings, 47 Nobel prize-winners, three Fields medallists, 25 British Prime Ministers, 28 foreign presidents and prime ministers, seven saints, 86 archbishops, 18 cardinals, and one pope. Seven of the last eleven British Prime Ministers have been Oxford graduates. Amongst the University's old members are many widely influential scientists, artists and other prominent figures. The Ashmolean Museum: www.ashmolean.org. A world renowned museum of art and archaeology. The Bate Collection of Musical Instruments: www.bate.ox.ac.uk. The history and development of musical instruments of the Western Classical tradition from the medieval period until the present day. The Pitt Rivers Museum: www.prm.ox.ac.uk. Archaeological and ethnographic objects from all parts of the world. The University of Oxford Botanical Gardens: www.botanic-garden.ox.ac.uk. The oldest botanic garden in Britain. The Museum of Oxford: www.museumofoxford.org.uk. Explore the wonders of Oxford?s long history. The Museum of the History of Science: www.mhs.ox.ac.uk. An unrivalled collection of historic scientific instruments in the world's oldest surviving purpose-built museum building. The Oxford University Museum of Natural History: www.oum.ox.ac.uk. The Oxford University Museum of Natural History houses the University's scientific collections of zoological, entomological and geological specimens. Oxford is about 60 miles (90 kms) northwest of London and has excellent road and national rail links. From London: options include train or bus. Trains leave regularly from London Paddington (enquiries: 08457484950; www.nationalrail.co.uk ). For buses, options include the Oxford Tube (enquiries: 0(044)1865772250) / Oxford Express (enquiries: 0(044)1865785410), which leave every 12 minutes during peak times. Coaches stop along the High st at intervals and end at Gloucester Green Coach Station in the city centre. From London airports: if travelling from Heathrow or Gatwick, use The Airline coach service, which operate a direct frequent service twenty-four hours a day. For information telephone 0(044)1865 785400. London Stansted airport is linked to Oxford by the National Express 757 coach service, running every two hours (tel: +44 (0)8705 747777). Alternatively, a number of companies, including Oxicars and CCB Cars, offer pre-bookable airport transfers. By car: We recommend public transport for travelling to Oxford, as many Oxford streets are now closed to traffic and parking is limited. Visitors by car could opt to stay at St Hugh's college (when rooms are available) which has car parking, or are encouraged to use the Park and Ride bus services which operate between the city centre and parking areas on the outskirts at Pear Tree, Woodstock Road (north); Water Eaton (north); Seacourt, Botley Road (west); Redbridge, Abingdon Road (south); and Thornhill, London Road (east). Having left your car in the car park a regular bus will take you into the centre of Oxford, stopping at stages along the High St (the bus driver should know the nearest stop for you). Taxis: Taxis can be found at Gloucester Green Coach Station, Oxford Railway Station, and St Giles' in the city centre. Some taxi numbers: Radio Taxis, Tel: +44 (0)1865 249743 or 242424 or ABC Taxis, Tel: =44 (0)1865 770077. 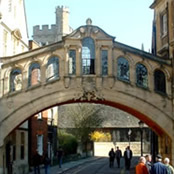 Oxford's roots trace back to 700 when a priory was formed "where oxen were wont to ford the Thames" (thus "Ox-ford"). In 1214 the University received a charter from the Pope. Influxes of Dominican friars in 1221, and then Franciscans in 1224, contributed Oxford's strong Catholic traditions. Oxford as an important centre of religious activity continues today: all colleges have a chapel (Christ Church's is a Norman cathedral), and several colleges continue to function as religious foundations. Today Oxford flourishes. The university certainly dominates the city due to its central location as much as its size, but there are also a great many other aspects to Oxford life: a successful theatre scene, prosperous industry including the BMW factory in Cowley, a large number of retail outlets, and many museums and attractions for visitors to name a few. In the early years of the second millennium, any Englishman in search of learning would study at the University of Paris, the foremost academic institution of the time. However, in 1167, all English academics in Paris were moved to Oxford. Whether this was because Henry II recalled them or they were expelled by the French isn't clear. But Henry, who had built Beaumont Palace (of which no trace remains) as a residence near where Worcester college now stands, and who had given the city a charter in 1155, clearly established Oxford as England's principle academic centre. Today there are 39 colleges of varying age, size and character. Every student at the university is a member of a college, which provides students with accommodation, meals, tutoring, libraries, common rooms, and sports and social facilities.